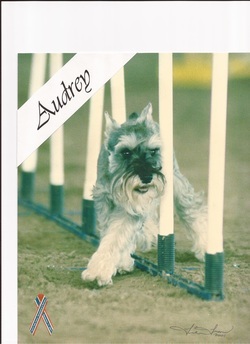 Lakeside's Instigatin Audrey, "Audrey" was my second obedience and agility dog. She was shown by myself and my daughter, Meredith. Meredith and Audrey won Jr. Highpoint at the Florida State Fair.